GOVERNMENT has walked the talk by implementing some of the measures to reduce the wage bill by retiring more than 500 civil servants without requisite qualifications. The move comes a few weeks after Finance and Economic Development Minister Patrick Chinamasa announced a raft of measures to cut down Government expenditure. According to a memo circulated to all Permanent Secretaries by the Public Service Commission Secretary, the affected members would be struck off Government’s payroll by December 31. “Please be advised that at its 38th meeting of 5 December 2007, Cabinet directed that 538 members of the Public Service without requisite qualifications be retired in terms of section (18) e (ii) of the Public Service Regulations with immediate effect. The members shall be struck off the Salary Service Bureau pay sheet by 31 December 2017,” read the memo. Presenting the 2018 National Budget, Cde Chinamasa said Government was working towards a new economic order that would see rationalisation and cost-cutting measures to expenditure. Minister Chinamasa indicated that a number of public officials continue to be engaged in the public service well beyond their retirement age. “In this regard, from January 2018 Government will, through the Service Commissions, retire staff above the age of 65. “Furthermore, 528 members of the Public Service without the requisite qualifications in terms of Section 18(4) e (ii) of the Public Service Regulations are being retired,” said Minister Chinamasa. “The retirement of the above members will entail payment of a severance package estimated at $8,7 million”. Minister Chinamasa said retired workers will be assisted with access to capital in order to facilitate their meaningful contribution towards economic development, including taking advantage of allocated land, for those who are beneficiaries of the land reform programme. “Furthermore, Government will also introduce a voluntary retirement scheme that serves to rationalise the public service wage bill, while providing financial incentives to beneficiaries to engage in economic activities in such areas as farming, and start-up of small business enterprises,” he said. 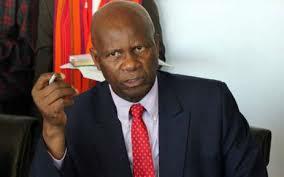 Minister Chinamasa said Government would further save $1,6 million per month and $19.3 million per annum through abolishing youth service officers’ posts.